LANSING, Mich.— Lothamer Tax Resolution announced the grand opening of its new Lansing office to be held on Sept. 12, 2013 at two o’clock p.m. Lothamer expects Lansing Mayor Virg Bernero to be in attendance for the ribbon cutting. The new office is located at 3626 Dunckel in Lansing, Michigan. Lothamer is thrilled with renovation of the building and is expecting the transformation of the former Clarion Hotel into the House, a new student oriented housing development by Keith Brenan and Bob Wolkoff to be spectacular as well. Mr. Brenan and Mr Wolkoff are expected to be in attendance as well. Michigan Governor Rick Synder signed HB 4003 on June 27, 2014. Sponsored by Rep. John Walsh, the bill allows the Department of Treasury to “forgive taxes if the taxpayer did not owe the amount initially due or is unable to pay the tax.” Lothamer President Jesse Lothamer has personally worked on HB 4003 over the past three years. Tell me about the Michigan Offer In Compromise (OIC) bill that Governor Synder signed into law; what is it and why is it important for Michiganders? House Bill 4003 amends the Revenue Act to establish an offer-in-compromise program, which authorizes the State Treasurer to compromise the payment of a tax, unpaid account, or amount due the State subject to administration under the Act, if a) doubt exists as to the taxpayer’s liability or collectability or b) there is a substantial probability that a compromise would further the fair and efficient administration of the tax. With tax season quickly approaching, its important to remember to get your W-2 before January 31st. This will make doing your current year taxes quick and easy. Unfortunately, this isnt such a quick and easy task when youre looking for a W-2 from last year, or for some people, ten years ago. We understand that there are people who havent filed their taxes in years, and while they are ready to lift this lingering burden off of their shoulders, they dont even know how to start because they have since misplaced their past W-2s. Governor Rick Snyder recently signed Michigan’s Offer in Compromise Bill into law. The new law will allow Michigan taxpayers to compromise taxes owed to the State of Michigan, and takes effect January 1, 2015. 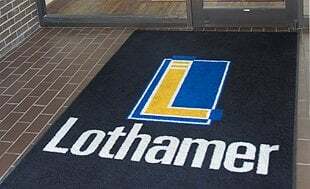 LANSING, Mich.— Lothamer announced today that it will open a new office in Lansing. The new office is located at 3626 Dunkel Road. This new location will replace the previous location of 215 South Washington Street. Lothamer’s move is part of an overall initiative to expand its tax resolution services to Michigan residents and businesses, and grow its client base. Over the years, Lothamer has expanded to eight office locations in Ann Arbor, Flint, Grand Rapids, Kalamazoo, Lansing, Livonia, Troy and Southfield. The new Lansing office location will provide an opportunity to increase staff and services for clients in need of tax help. Is Michigan Ready for Offer In Compromise? For years, Offer in Compromise (OIC) has been used as a means of collecting some portion of delinquent taxes owed when the taxpayer simply cannot afford to pay the entire debt. This program has resulted in taxpayers being able to recover from significant financial difficulties and get a “fresh start” on the future. This has not been the case for Michigan residents and businesses owning the state of Michigan back taxes. Often, tax liabilities in Michigan go uncollected; the taxpayer suffers the ongoing collection calls and enforcement and the State of Michigan gets nothing.